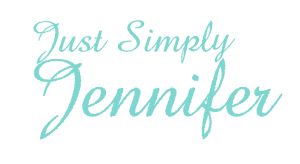 New A/C and Dog Recovering from Surgery | Just Simply Jennifer! Well, it’s been quite a week. We started out Labor Day visiting family, we met them about half way in Virginia. That was so fun. We had a blast. Then we got home and our house was over 99 degrees, so it would not register on my thermostat. It had been blowing hot air though, so things were really hot. We found out that we had lost all our Freon in our heat pump and basically we needed a new one. Well, today is Thursday and the new A/C was just installed. I think I love it already. Our dog also was scheduled for surgery on Tuesday. We’ll we were hoping that the surgery wouldn’t be his liver. It wasn’t…woo hoo. He had a 5 lb tumor on his spleen, so that is all removed. It is the best possible outcome and he’s here recovering now. So our lives are back to boring and good.